has worked as a cosmetic physician for 25 years, and was one of the first doctors in Australia to start using fillers and anti-wrinkle injections. She has been a trainer with Allergen, the company that produces these injectables, for more than a decade, and is the Vice-President of the Australasian College of Cosmetic Surgery. Sometimes I will discourage someone from having a particular treatment as I think the impact of treating another area will be better value for them, and give them the best possible overall appearance,” Dr Kushelew says. During her 25 years in the industry, Dr Kushelew has seen huge changes in the ways fillers are used. 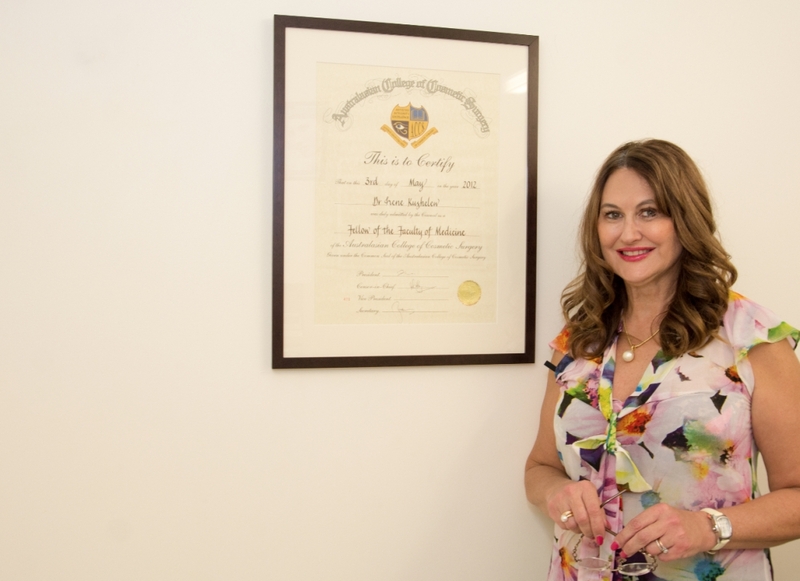 She is one of the first cosmetic physicians in Australia to have been trained by Brazilian plastic surgeon Dr Mauricio de Maio, who developed a system known as the MeDical Codes for analysing the face. Her clients vary in age, from younger women who are interested in prevention and “beautification”, to middle-aged and older women who want to look the best for their age. “It’s not about necessarily looking younger, but the best you can as you get older,” Dr Kushelew says. Dr Kushelew has a national reputation for her attention to detail. WHAT ARE THE MeDical Codes™?